The 84th Annual Academy Awards are taking place on Sunday 26th February and the lovely Jennifer Lawrence announced the nominees at 1.30pm today. Surprisingly (and delightfully) my favourite film of 2011, Hugo, is leading the pack with eleven nominations, whilst The Artist is a close second with ten nominations. Meanwhile, Shame has been snubbed completely. When Jonah Hill gets an Oscar nomination and Fassbender doesn't, you know something is seriously amiss. I'd happily see this go to Hugo or Midnight in Paris but how can an Academy of film fans refuse The Artist's charm? Scorsese would be a safe bet but already has an Oscar, Globe and Cecil B DeMille Award. Best Director and Best Film often go hand-in-hand so this could be Hazanavicius' year. Plus, last year the Brits conquered so the Academy might want to favour the other side of the Channel to even things out. Glad to see Oldman finally getting an Oscar nomination but Clooney has this in the bag. This will go to Plummer. And what the hell is Jonah Hill doing in this category?! Is every future Judd Apatow comedy now going to herald him as 'Oscar-nominee Jonah Hill'? Mental. Streep or Davis will walk away with this one: both political performances where characters overcome discrimination in order to triumph. Streep has won two Oscars already whilst Davis has only been nominated once so no doubt the Academy will give this to Davis to keep things fresh. I pray this goes to Berenice Bejo and not anyone from The Help. Also, how did Melissa McCarthy get in this category?! She was funny and everything. But seriously... Bridesmaids is now an Oscar-nominated film? Bonkers. Not too bothered but I'd love Peter Straughan to win because I asked him a question at Empire Magazine's Big Screen film festival. My question: "Oldman's performance looks incredible in Tinker, Tailor. Are you trying to get him an Oscar?" Peter Straughan's reply: "To be honest, I'd much rather get myself an Oscar." Midnight in Paris has already bagged the Globe and deservedly so. I'd expect the Academy to go for this too. Any one could walk away with this Oscar to the sound of hard-earned applause. However, I'd give it to Hugo for delivering beautiful cinematography through three-dimensions. 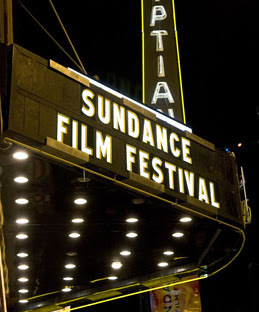 The 2012 Sundance Film Festival is in full swing over in Park City, Utah. Sundance was started in 1978 by movie legend Robert Redford to give indie film-makers an opportunity to showcase their work: feature films, short films, documentaries and everything in between. Fact: it is called Sundance after Redford's character in Butch Cassidy and the Sundance Kid. The first Sundance festival boasted such titles as A Streetcar Named Desire, Midnight Cowboy, Mean Streets and Deliverance and Sundance has returned every January since. Most recently, the 2011 Sundance saw Like Crazy, Tyrannosaur, Senna and Another Earth all take home top prizes whilst this year's winners will be decided at the close of the festival on the 29 January. Sadly, I am not there braving the snow and the arty types. But thousands of people are and a quick search for #sundance on Twitter will keep you up-to-date with all the action. You can also follow the official Twitter page. Most excitingly, for the first time ever, Robert Redford is bringing Sundance to the UK. A selection of the festival's finest will descend on the 02 in London between 26-29 April. Book tickets here. Oscar Season just keeps on coming. As the Globes are winding down, the BAFTAs are just getting started. The BAFTAs are notoriously loyal to the Brits and often offer a different palette of winners and nominees in comparison to the Globes and Oscars. As such, we have categories such as Outstanding British Debut and Outstanding British Film and the Orange Wednesdays Rising Star Award, which usually goes to a Brit because it is voted for by the public. Then again, the British public gave it to Kristen Stewart in 2010. Bloody Twi-hards. You'll also notice that Tinker Tailor Soldier Spy is finally getting some recognition on this side of the pond with a whopping 11 nominations - although The Artist is still storming ahead with 12. Award shows are everywhere at the moment (it is Oscar Season after all) but the first of the Big Three took place last night: the Golden Globes. Best Drama: The Descendants - very excited about seeing this. Best Comedy/Musical: The Artist - read my review to see why this was very well-deserved. Best Animated Film: The Adventures Of Tintin - great 3D, great design and Pixar didn't put up much of a fight this year. 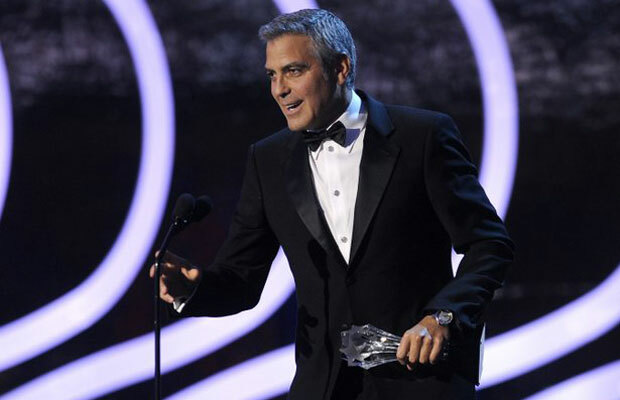 Best Actor Drama: George Clooney, The Descendants - he was robbed of a Globe for Up In The Air so I couldn't be happier about this. Check on his performance in cinemas on 27 January. Best Actor Comedy/Musical: Jean Dujardin, The Artist - Dujardin's performance was wonderful but unlikely to receive as Oscar. Best Supporting Actor In A Motion Picture: Christopher Plummer, Beginners - Sadly, I haven't seen it. But Plummer is a veteran. Best Actress In A Drama: Meryl Streep, The Iron Lady - not exactly a surprise. People love giving awards to Streep and she was playing a political figure who overcame adversity. In fairness, it is a great performance. Shame about the film. My review is here. Best Actress In A Comedy/Musical: Michelle Williams, My Week With Marilyn - I will be renting this asap. Best Supporting Actress In A Motion Picture: Octavia Spencer, The Help - although I haven't seen it, I can't imagine anything being better than Berenice Bejo in The Artist. Judging from The Help trailer, Spencer appears to be the comic relief in a feel-good chick-flick. Best Director: Martin Scorsese, Hugo - a very surprising win but a very welcome one. This led my top five films of 2011. Best Screenplay For A Motion Picture: Midnight In Paris, Woody Allen - ace. A five-star film with a five-star script. Read more here. Best Original Score In A Motion Picture: The Artist, Ludovic Bource - the score is the third character. How could this go to anyone else? Best TV Comedy/Musical: Modern Family - Yes! Best TV Miniseries Or Motion Picture: Downtown Abbey - I love a good Julian Fellows speech. Best Actor In A TV Drama: Kelsey Grammer, Boss - Who cares if he deserved it... Go Sideshow Bob! Best Actor In A TV Comedy/Musical: Matt Le Blanc, Episodes - Le Blanc was fantastic. More subtle and dark than you would ever expect from the lovable Friends alumni. Best Actor in A Miniseries Or Made-For-TV Movie: Idris Elba, Luther - Everyone loves Idris Elba. Best Supporting Actor In A TV Series, Miniseries Or Made-For-TV Movie: Peter Dinklage, Game Of Thrones - Tyrion was made for Peter Dinklage. Bring on Series Two when he rules King's Landing. 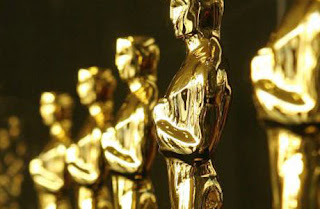 Although I may refer to January and February as Oscar Season, I use this term to encompass all of the film award ceremonies, of which there are so many. The Critic's Choice Movie Awards took place on Thursday and The Artist (reviewed here) led the way with Best Picture (hooray! ), Best Score (well-deserved), Best Director (very well-deserved) and Best Costume Design. 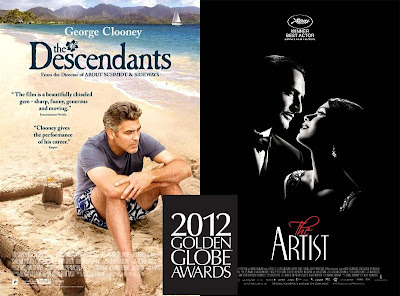 George Clooney got Best Actor for The Descendants (released on 27 January) whilst Viola Davis received Best Actress for The Help. Woody Allen won Best Original Screenplay for Midnight in Paris (one of my top films of 2011) whilst Aaron Sorkin (who wrote the brilliant script for The Social Network) won Best Adapted Screenplay for Moneyball. Rango received Best Animated Feature (no real competition from Pixar this year thanks to Cars 2), The Girl with the Dragon Tattoo (reviewed here) got Best Editing and The Muppets (bless 'em) won Best Song for 'Life's a Happy Song'. The Critic's Choice Movie Awards are usually well-judged but often over-looked. The first major awards show in the Oscar build-up is taking place tonight - the Golden Globes - and we will soon see which films are looking to be the strongest contenders for bagging those golden statues on 26 February. 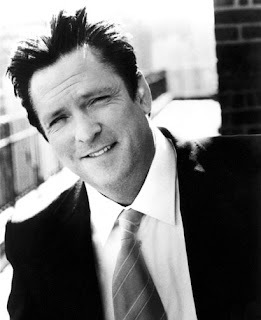 Tarantino regular Michael Madsen has entered the Celebrity Big Brother House! Madsen has starred in over 150 films but is best known for playing the infamous Mr Blonde in Reservoir Dogs and Sidewinder in the Kill Bill films. Judging from his first hour in the house, Madsen already looks in need of his trusty razor blade/samurai sword. It's only a matter of time before Channel 5 starts playing Stealers Wheel and then all bets are off. We could hardly call ourselves film fans if we didn't support Madsen (the guy was in two Free Willy films!) so please pick up the phone over the next three weeks to keep him in the house. 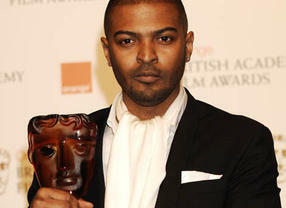 Noel Clarke and Benedict Cumberbatch have joined the cast of Star Trek 2. Clarke (right) is well known in the Who-niverse as an alumni of the Russell T Davies era of Doctor Who where he played Mickey Smith. More recently he has won the Orange Rising Star BAFTA for his work as a writer/director for Adulthood and 4.3.2.1. Meanwhile, Cumberbatch (best known as the BBC Sherlock Holmes) looks set to play the villain in his lightning ascension towards Hollywood A-List. He will be adding Star Trek 2 to his already impressive CV of Tinker, Tailor, Soldier, Spy, War Horse and voice-over duties in The Hobbit films. Very little is known about their characters (standard JJ Abrams procedure) but it is reported that Clarke will be playing a family man and Cumberbatch is playing a villain alongside Peter Weller (Robocop!) who has already been recruited for a different bad guy role. The first trailer for The Hobbit: An Unexpected Journey hit the web on Wednesday 21st December. Two weeks later and it is still awesome. Enjoy!